Charles de Mills is a famous and well grown form, just look at the flower shape and colour! These were also the first roses to really be hybridised, many by the French but also the English, German and Italian gardeners. This breeding has been going on for hundreds of years and sadly what remains today. 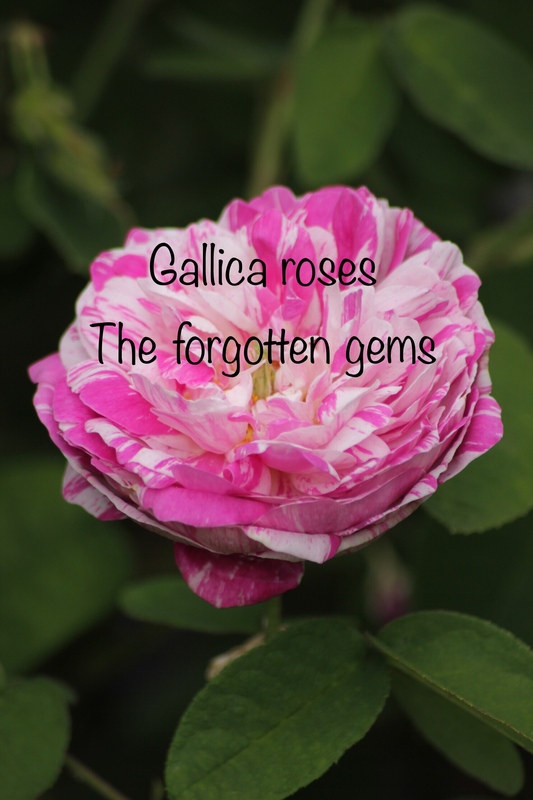 These are also pretty tough roses, Rosa gallica grows naturally in sandy free draining soil so these types will take some poor soils. One word or warning though, on their own roots they do like to spread out a little, well more than a little, so always worth buying budded Plants unless you have a lovely sunny bank on free draining soil you would like covered! They also pretty disease free, some forms suffer more than others but on the whole they can be pretty black spot and mildew free. Yes do! I don’t know it……. Beautiful, Thomas. There’s nothing quite so romantic as a Gallica. Oh, you just had to show these off! Okay, what ever happened to hybrid tea roses? Are they ‘that’ passe? Were there ever very popular there? I thought everyone grew them. I still prefer them (although I do happen to grow what I believe to be ‘Complicata’, but that is a whole different animal). The roses I posted pictures of were not this interesting, but if I ever get more hybrid teas again, I will want to show them off. Haha indeed if their praises are sung they risk dying out or becoming harder to find once more. It is interesting that you referred to the popular roses as ‘new modern English roses’. I find it SO annoying that many new cultivars are marketed as heirloom roses, just to exploit the fad. Sometimes, they are described both as being an heirloom rose, AND a new introduction for the year.